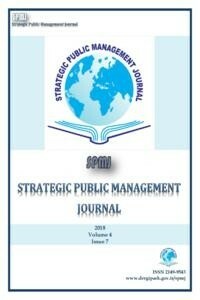 Strategic Public Management Journal (SPMJ) is an internationally reviewed (double-blind method), open-accessed, online journal that represents a collective effort initiated by an international group aimed at boosting the research in the field of public administration and strategic management. SPMJ represents a unique source of specialized analysis of the transition processes to democracy, of the reform of public administration, of the implementation of strategic public management and of comparative analysis of administrative systems. The general topic covered by the articles in the Journal is administrative sciences. As a result of an interdisciplinary, modern approach, the articles cover the following specific themes: public management, strategic management, public policy, administrative law, public policy analysis, regional development, community development, public finances, urban planning, program evaluation in public administration, ethics, comparative administrative systems, etc. From the standpoint of the topic covered, SPMJ is lined up with the trends followed by other international journals in the field of public administration. SPMJ does not charge any fee to process or publish the articles. SPMJ does not pay any fee to the authors for their articles. SPMJ allows reuse and remixing of content in accordance with CC BY license (Creative Commons License). SPMJ allows the authors to hold the copyright of their articles published. SPMJ is an international, double-blind reviewed and open-acces (http://www.budapestopenaccessinitiative.org/read) academic journal.